I love our chickens dearly. They’re crazy, cute, personable, and useful. They have a unique knack for adding a “real homestead” feel. Photos of lovely little homesteads just look so picturesque with chickens. You know what the photos don’t show though? How much of a menace they can be. The the ground where our electronet fence is set up is quite uneven so several times this spring the chickens managed to find places they could sneak under. For what ever reason one of their favorite things to do on these little escapes was scratch up the bed where we had seeded our lettuce. Needless to say we have a pretty sad lettuce harvest. 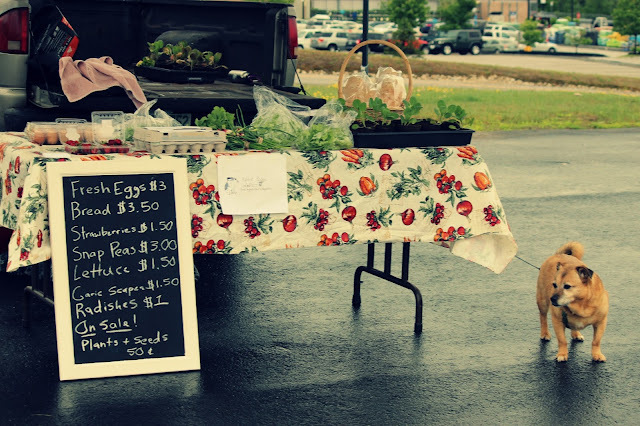 Our little table at the market, with only 3 bags of lettuce. We decided to try some late lettuce under shade cloth to keep it cool because what’s a farm stand without lettuce am I right? Lettuce prefers cool weather to germinate so it naturally does best when planted in the spring or fall. 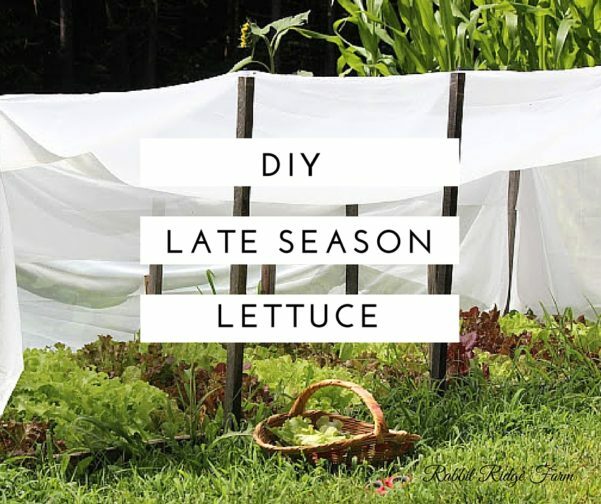 Lettuce ushers in the change of seasons despite the fact many of us think it should be ready around the same time as tomatoes and cucumbers. Who decided what’s in salad anyway? The one problem is we don’t have shade cloth or the money to buy it. In comes some old curtains. They’re white, shear, perfect shade cloth material, and have been sitting in the garage for a while. You know that saying, “use it up, wear it out, make do, or do without?” It’s one of my favorites. All we had to do was plant some lettuce in one of our raised beds, pound in some stakes around it, and tack said curtains to the stakes. Its not the most high tech system but the shade and consistent watering gave us one of the best lettuce harvests we’ve ever had! Do you do anything to extend your green’s season? We’d welcome any ideas.